A beautiful woven project made out of our paper yarns (and in this case also some cotton, silk and ramie): Erin’s Brooks Bouquet Curtains by Erin Supinski. 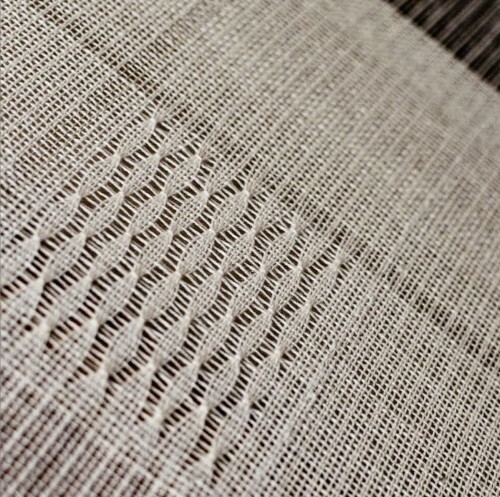 In case you’re wondering: “Brooks Bouquet” is this specific weaving pattern/technique when weft yarns are “tied” together while weaving that is shown in the picture below. You can find more about this project on our website and about Erin by following her on her Instagram account.